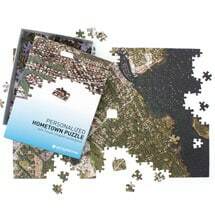 If your crew loves assembling puzzles — and craves a little competition along the — this is the game for you. 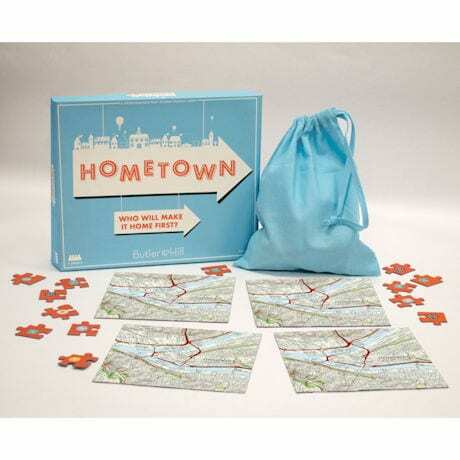 Each player (up to 4) selects 25 puzzle pieces and works to assemble their personalized hometown map with a mixture of map puzzle pieces and game changing wild cards. 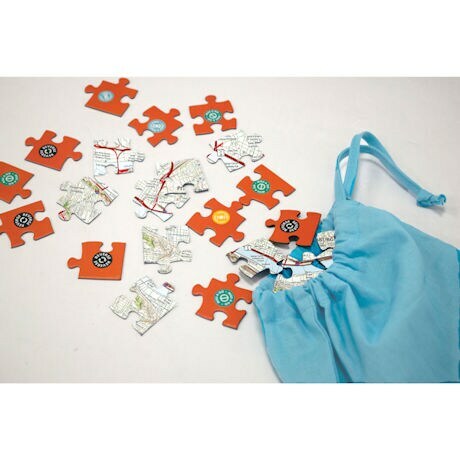 Players take turns picking a puzzle piece from the bag. 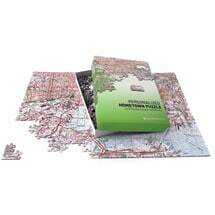 If it fits your puzzle, return one of your unused pieces. If it doesn't, you can put the piece back in the bag and await your next turn OR put one of your wild card pieces in the bag to sabotage your player of choice! 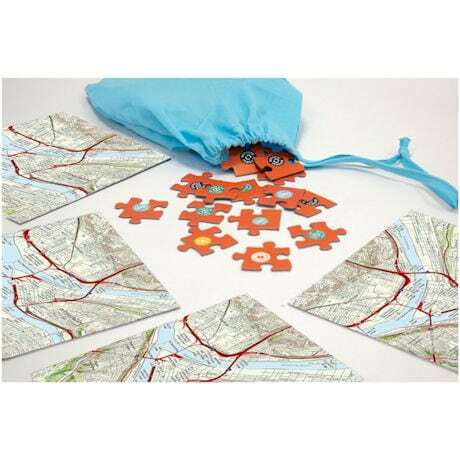 Swapping pieces (or an entire puzzle!) is also an option. 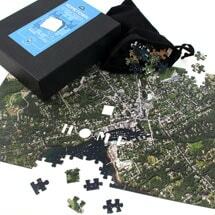 First to complete their puzzle is the winner. 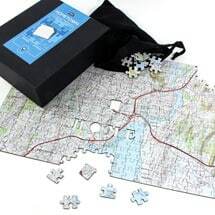 Provide desired address for puzzle image when ordering, and your game will feature the familiar roads and places from around your hometown as you play. Ages 10 and up. Order by Dec 8th for Christmas delivery.